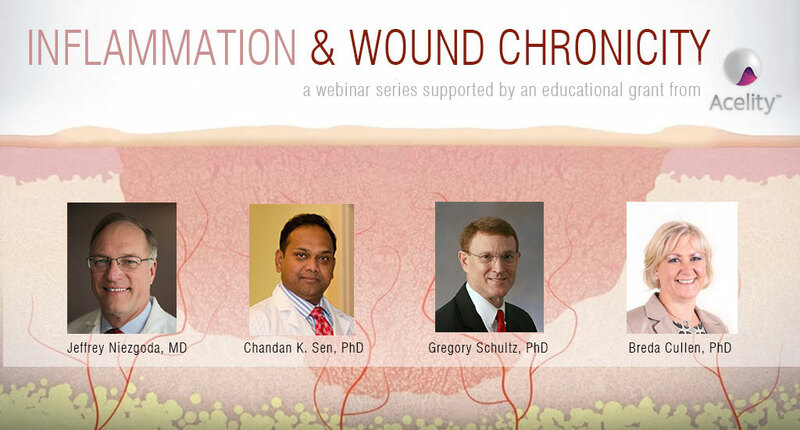 This 6 part webinar series will explore wound inflammation and the relationship between a prolonged inflammatory state and wound chronicity. An introduction to Oxygen Free Radical Theory will be provided which will include the free radical pathways leading to the production of matrix metalloproteases and inflammatory imbalance due to the persistence of proteases and elastases. Basic wound healing physiology, the role of oxygen and wound hypoxia in free radical pathways, the relationship of bacterial colonization and biofilms to delayed healing due to persistent inflammation will be discussed. Current clinical strategies which can be utilized in the management of excess inflammation in the chronic wound will be presented. Best of all, each webinar is FREE and valid for 1 AMA PRA Category 1 Credit TM !